Consistently Voted Best Fishing and Entertainment Pier! 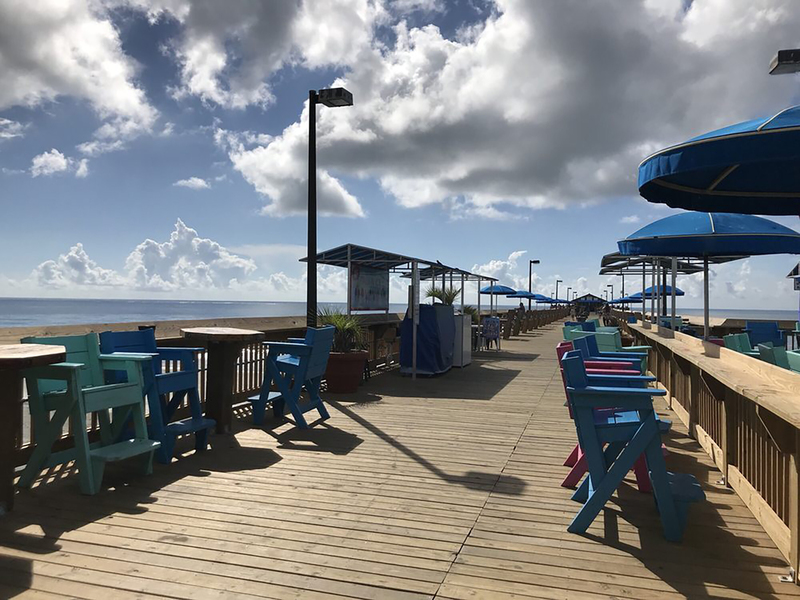 Garden City, aka Garden City Beach – is a smaller beach community and is notorious because of it’s fishing pier and fun filled pavilion arcade. Garden City Beach stretches south to the entry of Murrells Inlet and families return year after year to enjoy a wealth of activities and opportunities that this small town beach seems to offer. Fresh-caught, local seafood is this area’s specialty and the seaside sunsets are breathtaking over some of the Garden City eateries. The variety of beach houses in this area makes it a perfect place for everyone no matter what your taste. Garden City is home to exquisite ocean front condos making this area very charming. Garden City Beach is located directly south of Surfside Beach and ends on a peninsula at the mouth of Murrells Inlet. The family-friendly atmosphere and Southern hospitality of Garden City Beach make it the overall perfect place to call home. There is so much to do in Garden City. for all ages; fishing, drinks, dancing, the indoor arcade, and breathtaking ocean views! The Pier Café is wonderful for breakfast or lunch, and the nightlife brings local bands to the end of the pier during the warm summer months. Live music floating through the salty air, creates a very inviting beach atmosphere. Garden City Beach community offers a marina, restaurants, amusements, shopping and those amenities that make beach living even more appealing.